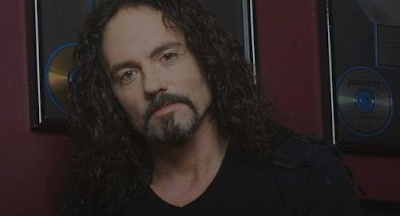 MetalRockNews: Former Megadeth drummer Nick Menza interviewed two weeks before his death: "I miss playing in front of big crowds"
Former Megadeth drummer Nick Menza interviewed two weeks before his death: "I miss playing in front of big crowds"
"The Wave Northwest" podcast interviewed former Megadeth drummer Nick Menza on May 8, less than two weeks before he passed away while performing with his band OHM at The Baked Potato in Studio City, California. You can read some excerpts below. About Megadeth's heavy touring schedule while he was in the band, Nick said: "We would do three hundred shows a year, and I wouldn't unpack my suitcase. I'd come home for, like, a week or five days, and I'd leave my suitcase at the front door with the lid open and just take what I need out of it and put stuff back into it, 'cause I knew I was gonna close it up in four or five days. That was the suckiest part about touring, every time you'd get home, the clock is ticking and you've got, like, five days before it's time to leave again." He continued: "I didn't live in my house for the first five years. I bought the house in, like, 1995, and we toured pretty extensively, man. We'd come home for Christmas and, like, maybe two days at Thanksgiving, whatever. Three hundred shows a year… I mean, you do the math." About the difficulties he had adjusting to "regular" life after completing a long tour, he said: "It was like post-traumatic stress syndrome. You come home out of the shock… It's like going to war and then coming back in the society again. Everybody's kind of standing still from your normal routine where you're moving every day to a different place, different city, different people. And I tell you, it's really good for the immune system. If you take care of yourself on the road and you're not drunk all the time or high all the time." He added: "You've gotta totally take care of yourself and be ready to undergo all the germs and different environments and just people. I'd always do meet-and-greets and shake people's hands, and they're, like, 'Dude, how come you're wearing gloves?' And I'm, like, 'It's not to protect me from you; it's to protect you from me.' If that makes any sense to you at all. People are standing in line picking their noses and biting their nails, and you're in a meet-and-greet with a hundred kids every night. It's tough, man. It's like a total undoing process that goes on." His favorite part about touring was "playing on stage; that's all I cared about. What time do we go on and how long do we get to play for? You've got 24 hours in each day and you get, like, an hour and 45 minutes of joy time. It's fun. I miss it. I miss the playing part of it, very much so, in front of the big crowds and just rocking people and having people come up afterwards. That's the only part of it I miss."